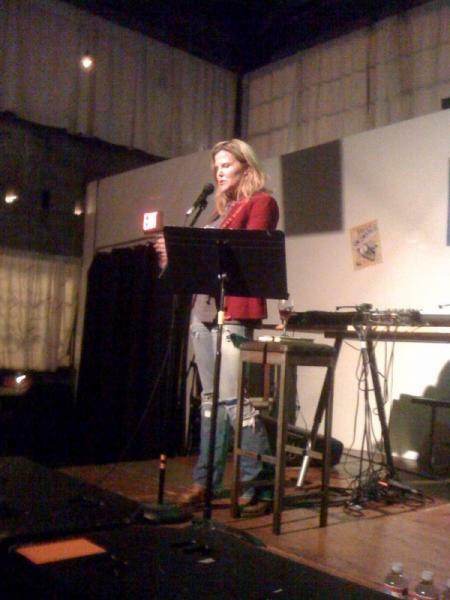 Me, at the ACLU Uncensored Celebration at Holocene, Oct 1, 2009, reading from the much-banned young adult novel I AM THE CHEESE by Robert Cormier. My dad bought it for me when I was 13 because some assholes in the town he lived in decided to pull it from the schools and burn it. Pick one up for a kid you know. Photo by Courtenay Hameister.